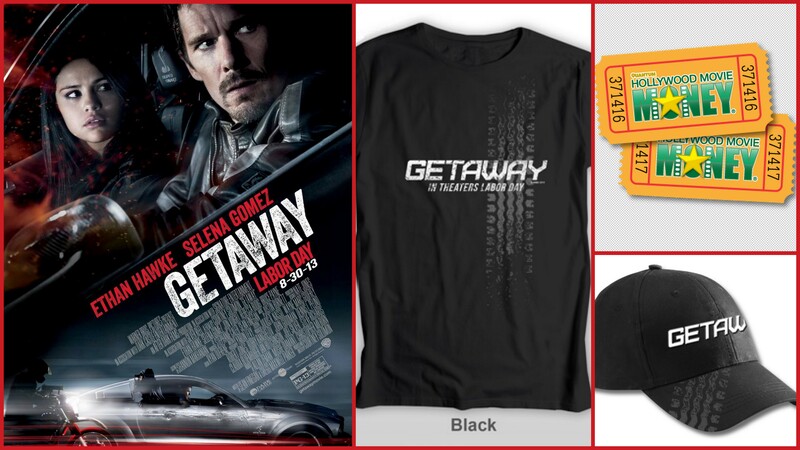 Getaway is the gritty, heart-pounding action thriller from Warner Bros. Pictures and Dark Castle Entertainment starring Academy Award® nominee Ethan Hawke (“Training Day,” “The Purge,” “Sinister”), actress and international music sensation Selena Gomez (“Spring Breakers,” “Wizards of Waverly Place”), and Academy Award® winner Jon Voight (“Coming Home,” the “National Treasure” films) under the direction of Courtney Solomon (“An American Haunting”), who also produced the film. Enter to win through the Rafflecopter widget below. The more tasks you complete, the more entries you will receive. The contest ends on August 28th at 12:01am EST. Winners will be contacted via email on August 28th. Good luck! Getaway cruises into theaters August 30, 2013.